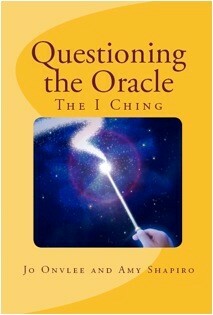 QUESTIONING THE ORACLE: THE I CHING, by Jo Onvlee and Amy Shapiro ~ New I Ching verses answer seeker’s questions with insights based on ancient Chinese philosophy. This book is for novice or advanced seekers to expand their practice to a 3-Hexagram oracle, or Triole, and much, much more. 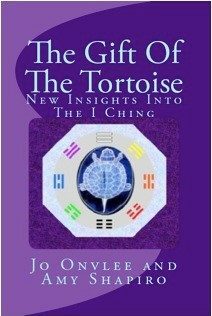 GIFT OF THE TORTOISE: NEW INSIGHTS INTO THE I CHING, by Jo Onvlee and Amy Shapiro ~ Learn new ways to see the core of the I Ching and how it can guide you. Building on Questioning The Oracle, ‘changes’ transcend time, expressing nature’s intrinsic balance with exciting mathematical notes and drawings; the goal being union of the flow of Chi and one’s formless Spirit. 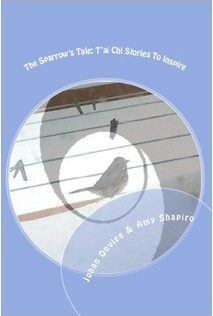 THE SPARROW’S TALE: T’AI CHI STORIES TO INSPIRE by Johan Onvlee and Amy Shapiro ~ shows how T’ai Chi transforms real lives in true stories drawn from a century of combined experience of enhanced health, relationships and outlook. Includes photos, instructions, plus appearances by a magic sparrow, and “Embrace Tiger” by Jo Onvlee.